A long, long time ago Alexander Pope told us, “To err is human; to forgive, divine.” Today, as we approach 2012, and the ascension process is upon us, forgiving for divinity takes on a whole new meaning. To even begin to reach enlightenment one must not just realize, but accept the fact that everything is, and always will be, in divine order. With that in mind, it is of paramount importance that we look at what seems to be bad, or wrong, or hurtful . . . all those feelings of unpleasantness . . . and find the gift that lies within them. You’ll know you are truly in touch with your “God-self” when you have the ability to look adversity in the face and lovingly embrace it. The importance of emotional healing has never been more important than it is at this time on our planet. 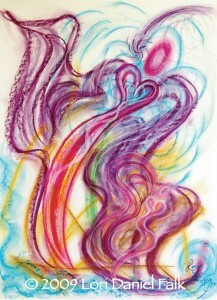 Recent studies have shown that we create in the emotional field prior to manifesting in the physical field. We get distraught over situations, or we get stressed over things, thereby creating abhorrent thought forms, that can create illness, sometimes even serious or fatal illness. Not only are negative emotions the root cause of almost every disease; the anger, fear, unworthiness and other emotions that go along with them, get buried in the body at a cellular level. Over time these adverse emotions weaken the physical body creating everything from stiffness, aches, and pains to more serious conditions such as diabetes, heart disease and cancer. So what do we do about all of this? Well, perhaps the simplest thing would be to shift our paradigm, to look at life through a different lens. As humans our ego-selves tend to judge things as right or wrong, good or bad, appropriate or inappropriate; when in reality … it’s all good. Right about now, I know you are thinking yeah right, easy for you to say!?! Well actually it’s not, often I’d like to say the same thing; yet what I know for sure is this … that old way of thinking no longer serves us. There’s a wonderful children’s book written by Neale Donald Walsch that describes this concept well. It’s called, The Little Soul and the Sun: A Children’s Parable Adapted from Conversations With God. If you haven’t read it yet, I encourage you to do so … soon. The characters in this delightful story beautifully describe how we choose the lessons or skills we’d like to learn in a particular lifetime prior to incarnating on this planet. While we’re going about setting our goals if you will, other souls are lining up and volunteering to be our parents, loved ones and friends; and promising to help us co-create the incidences in life that will all assist us in achieving the mission we are hoping to accomplish. Compassion, according to Webster’s, is a profound human emotion prompted by the pain of others. Let’s look at the gift of compassion for example. Compassion, according to Webster’s, is a profound human emotion prompted by the pain of others. More vigorous than empathy, the feeling commonly gives rise to an active desire to alleviate another’s suffering. So let’s say you decided that you wanted to not just learn about compassion, but to really understand it, to actually embrace it. To accomplish this one of your “soul family” members might agree to suffer through something unusually distressing that you would actually be witness to, giving you an opportunity to feel first hand what “compassion” is truly all about. Or let’s say you decided you wanted to learn about forgiveness; perhaps you would need to encounter someone that would truly wrong you. And to have it really impact you at a deep level, perhaps it would need to be induced by someone of importance and/or significance in your life. Perhaps you would need to be so infuriated by it all that you could hardly stand it. And yet, because underneath it all, you truly love this person who has in some way harmed you beyond belief, you would need to find a way to forgive them. To continue loving them you would need to let go of all anger, resentment, and indignation. You would need to know at the core of your soul that they had simply offered you the opportunity you had long been asking for … the opportunity to learn to love unconditionally in the face of adversity … put simply, a true chance to forgive. As Robert Assaglioli has said, “Without forgiveness life is governed … by an endless cycle of resentment and retaliation.” With that in mind, when “adversity” shows up in your life, rather than playing the victim role and attacking the person or source of your anger, would it not be better to simply ask, “Why is this showing up? What can I learn from this?” By asking these questions, we put ourselves in the role of the observer. We look at the situation objectively and try to ascertain what the true gift is that lays within the confines of this uncomfortable circumstance. In finding this gift, we can fully and completely love not only ourselves, but those who only seemed to have done us wrong. At this level of consciousness our frequency automatically increases, elevating us into higher and higher domains of existence; making ascension seem like an easy game. As a Spiritual Life Coach, Visionary Artist, author and public speaker, Lori Daniel Falk is often referred to simply as a Contemporary Mystic. She has been gifted with a new artistic healing modality that enables her to communicate with, and share, the wisdom of the angels in both pictures and words. These Angelic Message Portraits™ Lori has the honor and joy of creating with the angels; bring a feeling of wonderment and inspiration to all who view them. To date they have found homes in twenty countries around the world. One of her greatest joys is working with the angels. 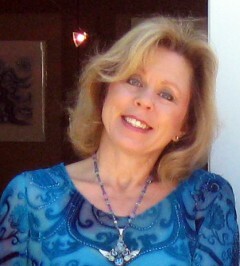 Her recent book, “What the World Needs to Know NOW, Wisdom of the Angels”, along with her line of Angelic Message Products can be found at www.wisdomoftheangels.com Lori is available for private consultations, life coaching and custom portraits. If you like this article and would like to work with me because you are ready for profound personal growth and spiritual transformation, consider an Angelic Message Portrait or Spiritual Life Coaching, where we will work together to help you find YOUR life purpose, YOUR passion, YOUR reason for being … Together we will uncover your limiting beliefs that are preventing you from obtaining your goals and fulfilling your dreams ~ and heal them, once and for all. Better yet, let me give you the “best that I’ve got” with my “Coached By An Angel” Program where we will tap into my intuitive angelic guidance to help you once again view the world as a source of endless possibilities. . . empowering YOU to create … and live … the life of YOUR dreams! Copyright (c) 2015 by Lori Daniel Falk. All rights reserved. You may quote, copy, translate and link to this article, in its entirety, on free, non-donation based websites only, as long as you include the author name and a working link back to this website. All other uses are strictly prohibited.